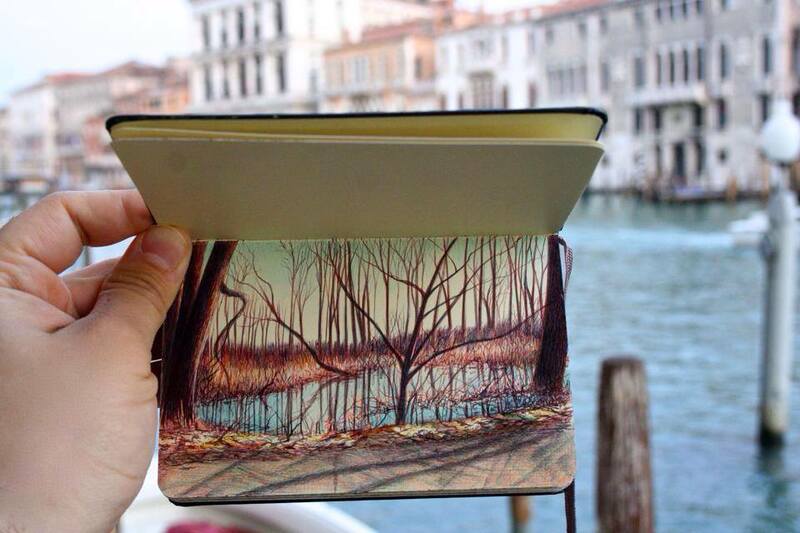 Artist Nicolas V. Sanchez fills entire sketchbooks with drawings of the world around him rendered in precise color ballpoint. Portraits of families page by page, sprawling scenes of rugged farms and livestock, and near photographic recollections of people and places from residencies in the Dominican Republic and China. Sanchez often explores the roots of his own identity, delving into a bi-cultural upbringing that spans from the American midwest to his family’s rural history in Mexico. In addition to his exacting pen work, Sanchez is also a painter and works in a distinct style that’s quite different from his ballpoint pen sketches. The sketchbooks help him work through ideas to determine if they eventually meant for a larger canvas, or if they’re meant to exist only in the pages of a book. Filmmaker Jesse Brass recently sat down to talk with Sanchez in his New York studio for this interview entitled Resolve.